We live in the “Lightning Capital of the USA”. With our JTAA children and coaches participating in sports outdoors, it is extremely important that we are prepared for lightning safety and Play It Safe! Lightning occurs in all thunderstorms and can be present even when the sky is blue and there is no rain in sight. 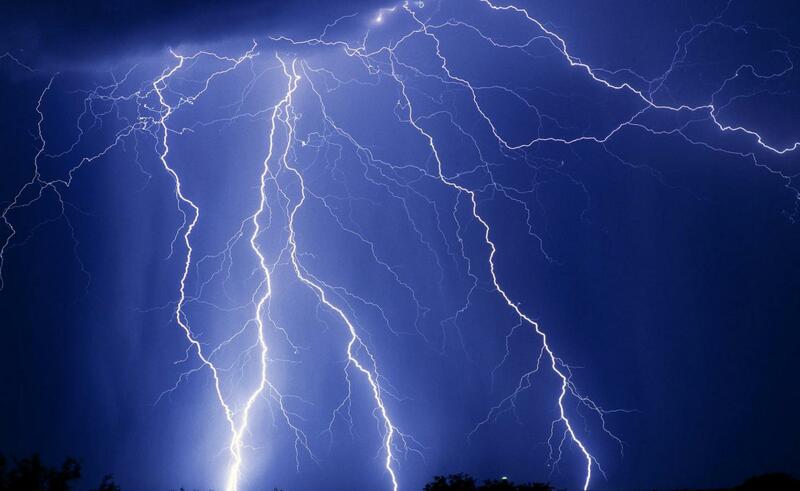 Lightning is the #1 weather killer in Florida, killing more than all other weather sources combined. It is an underrated hazard, because it’s so common people ignore the threat of lightning and they don’t take the danger seriously. Lightning kills … Play It Safe! Nothing offers absolute safety from lightning, but most tragedies can be avoided if proper precautions are taken. USE THE 30/30 RULE. If you see lightning, count how many seconds before you hear the thunder. If it’s less than 30 seconds, take cover. Wait 30 minutes after the last flash of lightning or sound of thunder before resuming any outdoor activity. Jupiter Community Park has a Lightning Detection System. The lightning system will warn you of an incoming threat of lightning and then also alert you when it is safe to resume activities. The horn will sound 1 long tone to warn you to seek shelter and the light on top of the quad softball building will blink. Once the system sounds 3 short tones you are all clear to resume your activity. As the system is not foolproof please use common sense with approaching storms. And use the 30/30 Rule described above. GET TO A SAFE STRUCTURE. Suspend your activity immediately and instruct everyone to get to a safe structure. Substantial buildings provide the best protection. Avoid sheds, small or open shelters, dugouts, or bleachers. If a sturdy building is not nearby, a hard-topped metal vehicle with the windows closed will offer good protection. MONITOR THREATENING WEATHER AND POSTPONE ACTIVITIES. Check the latest forecast prior to a practice or event. If thunderstorms are forecasted, consider postponing activities early to avoid being caught in a dangerous situation. Lightning causes fatalities and injuries. KNOW WHEN YOU ARE IN DANGER. All thunderstorms produce lightning and are dangerous. Lightning often strikes outside the area of heavy rain and may strike as far as ten miles from any rainfall. Many deaths from lightning occur ahead of the storms because people wait too long before seeking shelter, or after storms because people return outside too soon. There is no game or practice worth putting a kid’s life at risk due to not abiding by these lightning safety procedures.